OH! Mind reading skillz. by the way, is that a different version of the mask of shadows? its AWESOME. Yes that is a custom mask I made out of a Kraahkan, Hau and some paint skillz.Wow, It sure has been a long time since I made a comic that has graced the pages of TerraNuva's Comics. It does feel good to continue the story again. I really hope I can be more active so I can keep posting comics, but I don't know when I will have time. I am working on a ###### channel right now which is taking some time away. Come and Get MeThe last two panels are set outside the kings room if you did not figure that out. I smell an epic battle coming up!They're screwed though. Zorax is insanely powerful. Could you send me a copy of zorax's mask? For mega mask remodle Purposes, I need to make a soul eating mask. There's a battle coming up and yet those guards don't look like they're prepared against Zorax. It's all over unless if some unexpected thing happens. Well, I had a good run, but it looks like I'll be dead by the next comic :PYeah, that team is screwed. Yup. Those guards didn't stand a chance. I don't know what Zyke is doing though. Could it be? I'm (possibly) not dead! YAY! Cool visual effects. But what happened to zyke and Phoenix? Good question. Since I am not going off a script at the moment, I have been thinking of ways to give everybody their fair share of time and/or events. I am focusing on Zyke right now, but you will see how it will directly translate to you in the next mini saga.Here is how it goes.Act 1Terra Nuva and Terra ZetaDoctorVarious IntroductionsAct 2King Sy-LectricZykeTerra and MackuPhoenix Act 3ZoraxENDWhatever acts I want to insert will come when needed. I can definitely understand why it seems like you or other PGS's are being forgotten. Other PGS's were going to be dropped after the Awakening, but since I don't see a good way to feature them in my current story, they will play a prominent role in the next series. Edited by Terra Nuva, Oct 27 2012 - 09:01 PM. The title says it all.He's a juggernaut...was that Zyke who fired in the last panel? The laser eyes remind me of the Piraka. I guess this is what happens if you think you're the most powerful being in the world. Also, it's so weird seeing Zyke without his sunglasses . Lovely job with the laser burst! Amazing! Can't wait to see how their battle turns out, though I can't say it'll end well for me. Also, interesting bit of technology there, but I thought Skakdi only needed a partner to use elemental powers (if I'm wrong, I probably cheated in the BZPRPG several times >_<). Now that is epic. Zyke is actually hurting him!But Skakdi don't need partners for laser vision. Oh well, we can say it's some random disease he has. Yeah, Zorax is very overconfident and he is still not fully used to using his powers again after all the years locked away. Only the density manipulation that he used to kill the guards. Yeah, I know. I am going to say since zyke is matoran in size, he is a different species of Skakdi that can use their vision with out others, but together they can amplify their vision.ComebackAlso, would you guys like to se a weekly update where I release information about the comic Universe and perhaps wight some comic lore outside of the comics? I would like to do that so tell me if you guys are interested. Why is it that everytime the villain gets severely wounded, they always make a comeback somehow? Also, oh no! Zyke! Oh. So he is screwed. Then again, wouldn't be much of a story if he wasn't. Yay! Zyke isn't dead yet (I think)! Plus, the background is awesome. Also, contact Phoenix? Looks like he'll finally make an appearance. I'll look forward to that. Zorax definitely seems a lot more realistic, since he can be surprised despite his awesome power.Looks like he's about to absorb a laser and burn his insides or something...like Teridax grabbing that pillar and ending up trying to absorb it. Is Zyke doing some sort of final move like a self destruct. Edited by Phoenixfire, Oct 28 2012 - 09:21 AM. Well, the thought impossible has happened. I have been hit with the plague of computer malfunction that has terrorized so many. Though I have backed up almost everything relating to my comics, it will still take a while to get back to normal. I will try to get back together everything as fast as possible but there is no promises. If I am lucky, later today I can make a new comic, but if not, it could be a little while. Depends on the damage. Sorry about that guys. Wow...it happened to me only weeks ago...I know how you feel. Weekly Update .5Computer TroublesSo you guys have heard about my computer problems, so I am going to make this preliminary weekly update before I can start on a comic. Maybe I can start it later today if I can get my sprite sheets from my other hard drive. So if you enjoy having a weekly update sor of thing then tell me and I will make more. No pictures in the pre weekly update since I am at school and cannot get any unless I download team viewer.Mini-SagasSo you guys have seen my post above on how the Awakening Saga will finish. 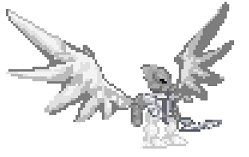 Each character has a mini saga that will focus on their role in Zorax's awakening. Here is the updated list if you missed it before.Act 1Terra Nuva and Terra ZetaDoctorVarious IntroductionsAct 2King Sy-LectricZykeTerra and MackuPhoenix Act 3ZoraxENDZoraxAlthough I do not want to reveal much about Zorax's origin, I can tell you that the residents of Kezra Nui refer to him as Makuta Zorax. He had a history with Terra Nuva's father before he killed him (revealed in Flashback part 1). He launched a large scale attack on Kezra Nui before he was locked in the time seal by Terra Zeta.ZykeZyke is a Skakdi mutation that exists in 1 out of every 200 Skakdi. They appear weaker, but have stronger powers when combined with a partner. Their laser vision is enhanced and their elemental powers equal a full evolved Toa.ConclusionIn future updates (if you guys like them) I will include story excerpts as well as short comics and canon information. Hope you enjoyed. Edited by Terra Nuva, Nov 07 2012 - 06:02 PM. After reading that list, it has come to my attention that my character is not suitable for this serious arc. 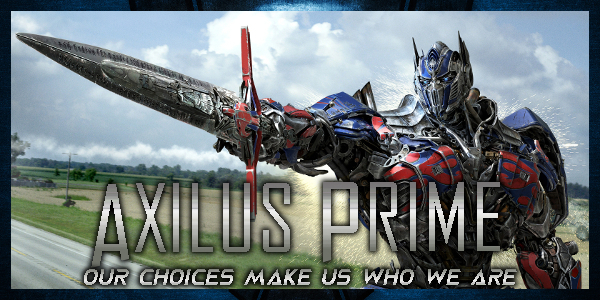 I'd like my PGS name changed to Axilus, and my comedic gag becoming long speeches about justice, honor, and freedom, along with a tendency to accidentally smash stuff without even being slightly irritated. Also, when the situation suits it, brutal GIVE ME YOUR (insert name of body part that is ripped off here) moments against people he believes is evil. No more pie and bacon.Of course, no comedic gag will fit in this arc well, and so if you could give me an appearance, just give me the personality from Prototypes. Well here it is guys. I would have made this longer, but I lost more files than I thought. Sorry if it's short, but It get's the point across. Thank you Zyke, for being a boss.ExplosionYour a hero. Edited by FrozenFlash, Nov 08 2012 - 10:20 PM. Whoa. Nuclear power source? Wouldn't that wipe out the whole city?Oh well, epicness kind of overrules everything when it comes to fiction. I can just imagine Zyke thinking "Going out....LIKE A BOSS!" I died in an explosion.Only cool guys die in explosions http://www.bzpower.c...tyle_emoticons/default/cool.pngOr is it that they don't look at explosions? I wish you did not have to die, but the best heroes are the ones you have to remember. Edited by Terren, Nov 09 2012 - 08:21 PM. Here is a battle scene comic that continues the Krazon v Terra battle.Master CallsThey say you should never make effects go outside the panels, but I think it looks kinda neat in this case. Wow, you can really take a hit in that first part.I think making the effects go outside the panels still doesn't work well here. Just my helpful critique.Also, your pose in the last panel really doesn't look dynamic enough. (Unless, judging by the expression, that was the point. )Overall, I guess it's pretty good, and you seem to be experimenting with some things, but this particular experiment didn't turn out that well. Well, I actually fixed the last panel because I did not want to have the effects coming out on that panel and I deleted comic 31. The terrible thing is I accidentally saved over it on my PC. Now I have to re do it. I'm ######. Um, the link to "Not Even You" is broken for me. Can you fix?